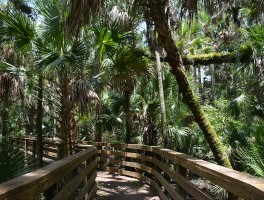 Hiking near Sanford | Florida Hikes! 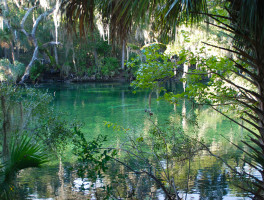 Established in the 1870s, Sanford is the county seat of Seminole County and an excellent gateway to outdoor recreation in natural lands on both sides of the St. Johns River. 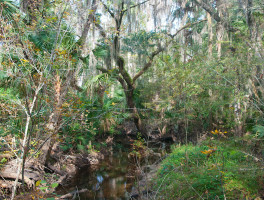 A patch of wild in a sea of suburbia, Bear Creek provides nearly a mile’s worth of exploration atop sandy bluffs in a shady creekside hammock in Winter Springs. 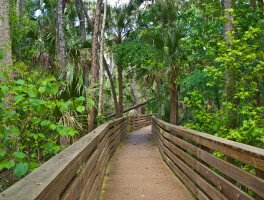 Visiting this Seminole County preserve for the first time, a string of excellent wildlife sightings culminates in seeing three bears at the trailhead. 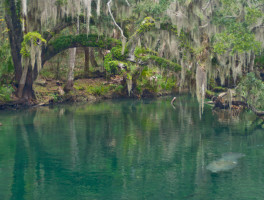 While the iconic Senator is no more, Big Tree Park continues to fascinate visitors with its enormous cypress trees, including Lady Liberty. 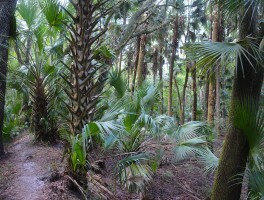 The park provides access to the Cross Seminole Trail. 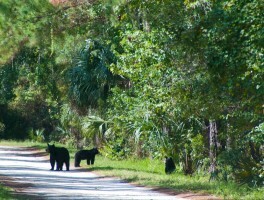 North of Orlando, the Black Bear Wilderness Area offers some of the best wildlife watching in the region on its newly expanded 7.1-mile loop along the St. Johns River. 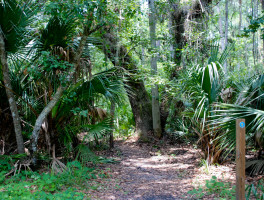 A wildlife-rich hike through the floodplain of the St. Johns River, this 2-mile walk introduces you to the beauty of Black Bear Wilderness Area in Sanford.